Yahoo! posted an article this weekend about the failure of this year's crop of superhero movies (you can read it here). This should've been the Summer of the Superheroes. Instead, many people walked away from Green Lantern unbelievably disappointed, Thor hasn't been the Iron Man-like hit Marvel wanted, and X-Men: First Class was a good movie that hasn't lit up the box office. I've seen all three movies. On some level, I enjoyed each one of them, but here's my analysis of why each movie has failed to capture the hearts of audiences. They're too close together. Hollywood thinks we all have money to burn and believes people only want to see superhero movies. These flicks are big-budget spectacles that need a certain distance from each other. You can't release them so close together and hope for repeat business because the same targeted demographic will be spending its money to see the next movie coming out. They're not Avatar. Scrap the 3D. People have caught onto 3D as being a gimmick (as it always has been!) allowing studios to change you extra money to be more uncomfortable at movies while having an inferior experience. I accidentally saw Thor in 3D (we thought the regular version was playing at our appointed time and we had read the listings wrong) and it brought NOTHING to the table. I will say Avatar did a nice job with this. I don't think the new X-Men had a 3D version, however. Bring in the B-team. I'd venture to say Thor is more recognizable as a character than Green Lantern, but that's just me being ignorant about what the rest of the world knows about comics. Iron Man pulled it off because of a recognizable star in Robert Downey, Jr. Thor starred the guy who played Captain Kirk's father in the Star Trek reboot. Ryan Reynolds is a recognizable name, but many don't perceive him as superheroic. And while Michael Fassbender and James McAvoy were great in X-Men, your average moviegoer has no idea who they are. So not only are this summer's franchises "lesser heroes" in the public eye, the stars are as well. Too Much to Do. Green Lantern had too much going on. We had to introduce the Green Lantern Corps and the idea behind it. We had to introduce the villain Parallax and his relation to the Corps. We had to introduce Hal Jordan and the concept of his being chosen as the first human Lantern. We had to introduce his relationship with Carol Ferris. And then they threw in Hector Hammond. And Hal Jordan has father issues. Hal has to get trained. Hal has to save the day. You get the point. Video Game World. 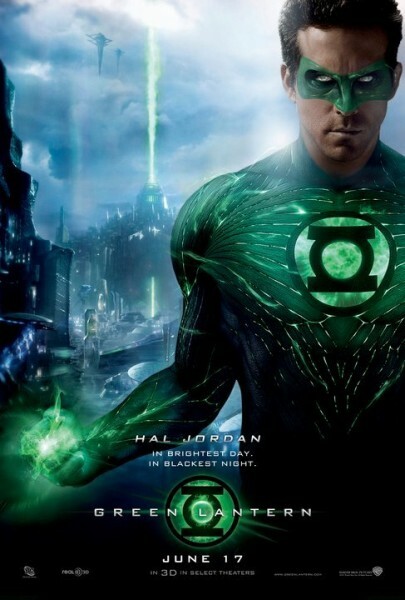 The special effects in Green Lantern were, overall, pretty effective. But some of the little things...Reynolds' eyemask never quite felt "right"...added up. The scenes on Oa were sometimes breathtaking, but other times felt like a cutscene from a video game. Some of the ways Hal chose to use the ring were visually uninspiring. Weak, Abstract Villain. To me, this is the biggie. These types of movies need effective villains (although Iron Man has managed, somehow, to get around this). Parallax was too abstract and didn't have a personal connection, really, to Hal Jordan. The whole movie was set up for Hal to fight a mildly irritated storm cloud with a face. The lack of a personal vendetta really hurt this one. Mediocre Writing. A little too paint-by-the-numbers on its plot points, GL also suffered from some poor characterization and consistency. The movie talked a lot about how the death of Hal's father shaped his personality, but as the movie went on, that point seemed to get dumped. In addition, it would've probably been best to hold off introducing Tomar-Re and Kilowog...giving the role of Hal's mentor completely to Sinestro. Yes, diehard GL fans would've been upset, but they would've seen the movie anyway and we would've had a stronger connection between Hal and Sinestro. Thor. Of the three, Thor was probably my favorite. It almost recaptured the Iron Man vibe that Marvel was going for. Like Green Lantern, it had a few things holding it back. Superpowered...gods? Huh? Asgard was realized beautifully, but Thor is a much harder sell than Iron Man as a character. You can almost believe, somewhere, some rich guy is making a suit of armor to go and blast bad guys. You can't believe, however, that the son of a superior race of beings came to earth to learn humility. 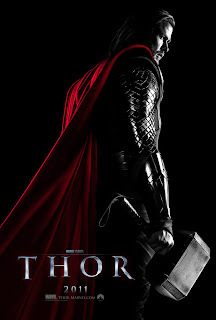 Thor's mysticism made the movie less palatable. A little misplaced humor. Look, this is a great fish-out-of-water concept and Hemsworth did a great job. But there were some kitschy moments that didn't quite click. X-Men: First Class. This was a solid effort with no show-killers and I'd definitely recommend it. Where's Cyclops? Storm? What about Wolverine? Havok. Darwin. Banshee. Who the hell are these people? And why should I care about them? The sour taste from X3 and X-Men Origins: Wolverine didn't help much. 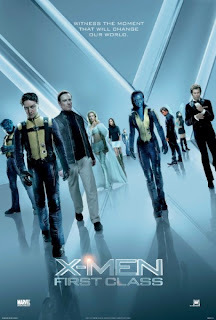 X3: The Last Stand was pitiful, a movie of squandered potential. Wolverine was...um...well the video game tie-in was really good. Comic fans will never get over what they did to Deadpool. The bad feelings from these two movies may have given some fans pause about seeing yet another X-Men flick. Oh, so you have another speech for us. About equality and crap. And politics. First Class got a little preachy at times, which I'm sure grated on some viewers. Trimming one of two of these little diatribes would've helped move things along. But it's not all bad! Now, I have to say this: I have HIGH HOPES for Captain America. And the promo materials and trailers look incredible. You can bet I'll be there!